Politics often took a highly staged form in medieval times. It made heavy use of ritualised modes of communication, of symbolic objects, and of performative acts. Rulers, princes of the realm, and all kinds of officials were public figures that acted out their political agendas in public spaces. Consequently, important parts of the political process – negotiation of hierarchy, appointment (and removal) of political personnel, assertion of authority, implementation of new policies etc. – took place in the form of ritualised action. 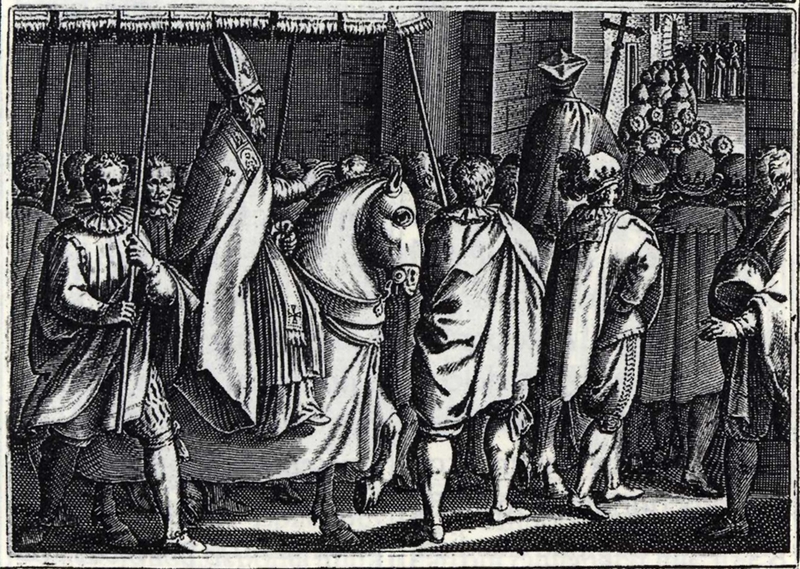 Public processions, receptions of rulers or newly elected officials, investiture and coronation, oaths and pacts, peacemaking and declarations of war, political assemblies and councils of the church, as well as the manifold liturgies in an age dominated by religious concerns: all these were highly ritualised. The image database "Ritual practice, spaces, and objects – images concerning the political process in the Middle Ages" gathers illustrations from medieval manuscripts and early prints, as well as photographs and some maps. The corpus encompasses roughly 4.000 images concerning all aspects of the political process in the Middle Ages, with an emphasis on ritual. It also provides related, more generic visual material (portraits, depictions of localities and objects etc.). The bishop's or archbishop's ride into his city: Caeremoniale Episcoporum. Editio Princeps (1600). 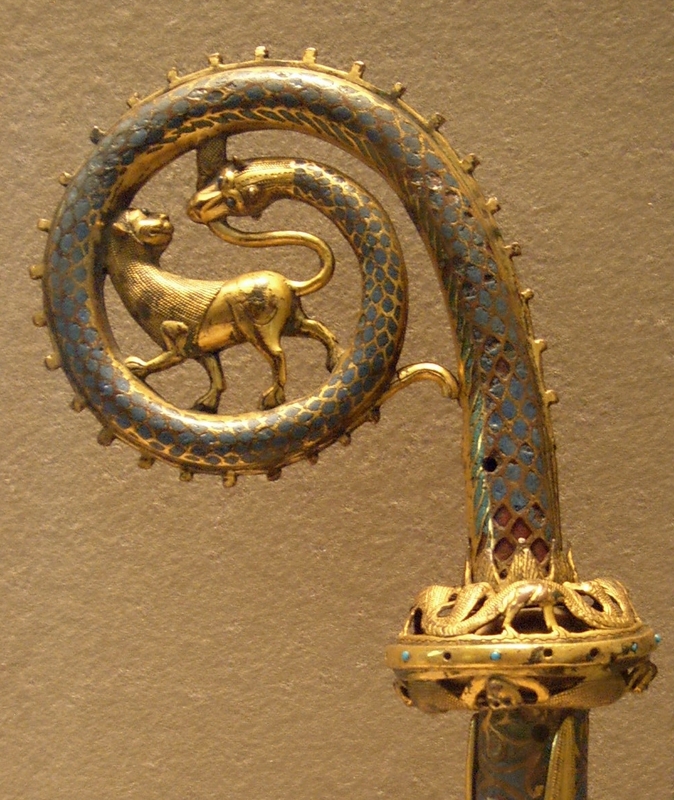 Crook of a pastoral staff, Limoges, ca. 1200 (photo: Paul Töbelmann, 2012).